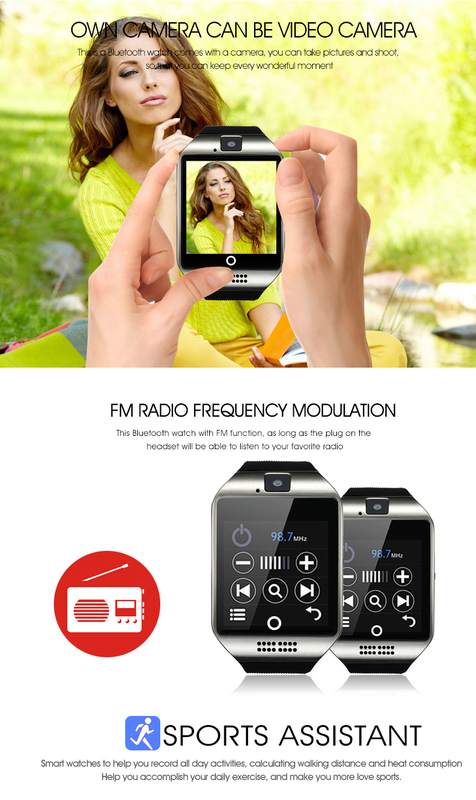 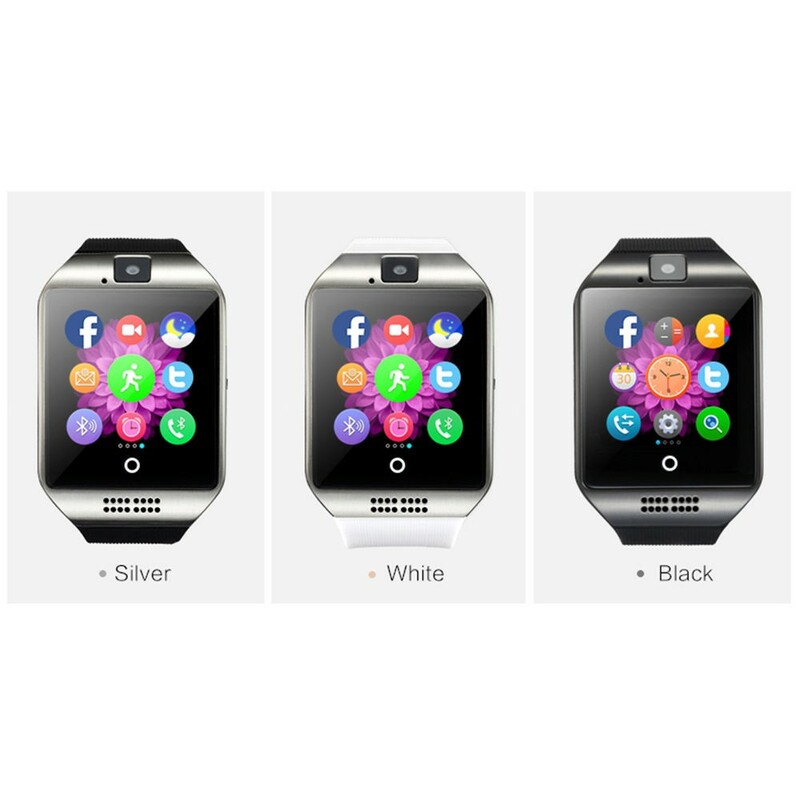 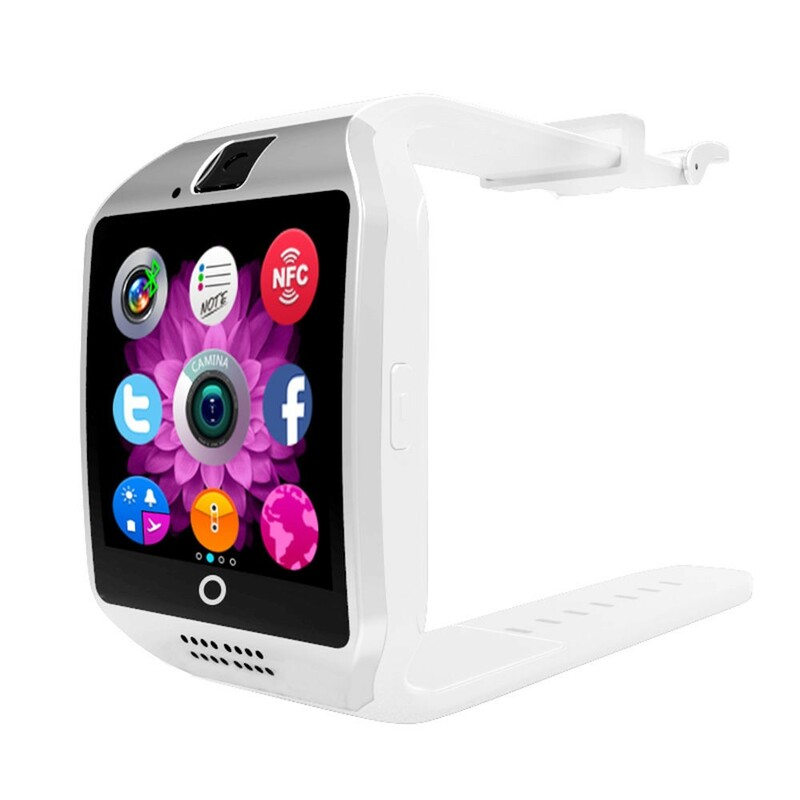 New Smartch Q18 Smartwatch,Sim Card Watch Phone for Android,Arc Screen,Bluetooth Smartwatch,Camera,Large Dial Smartwatch. 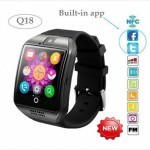 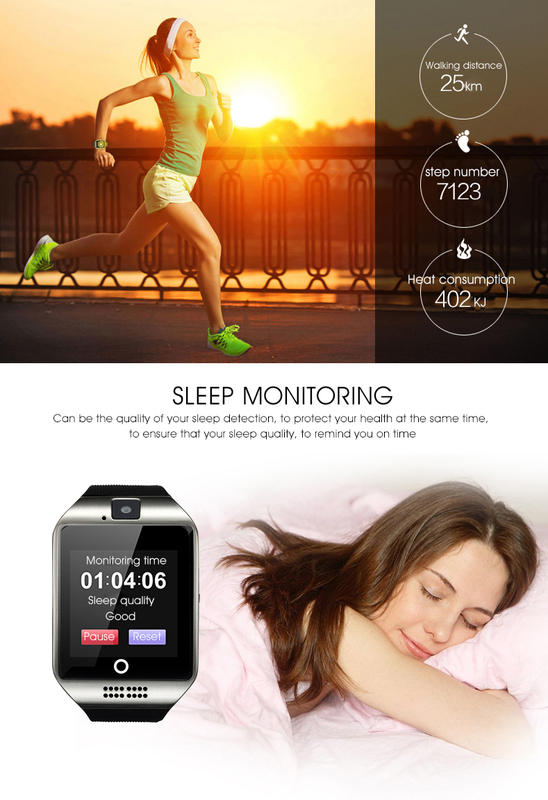 Q18 smart watch is just daily waterproof, you can't wear it to swim, take a bath or put in into water. 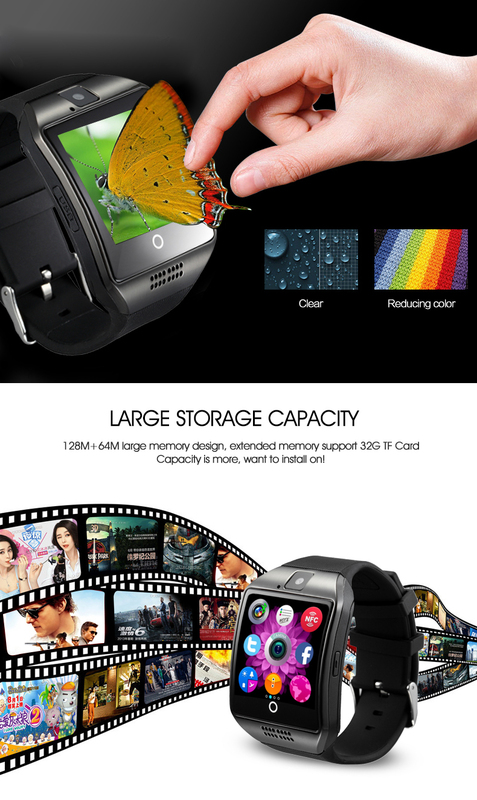 Q18 smart watch support max 8 GB external memory card. 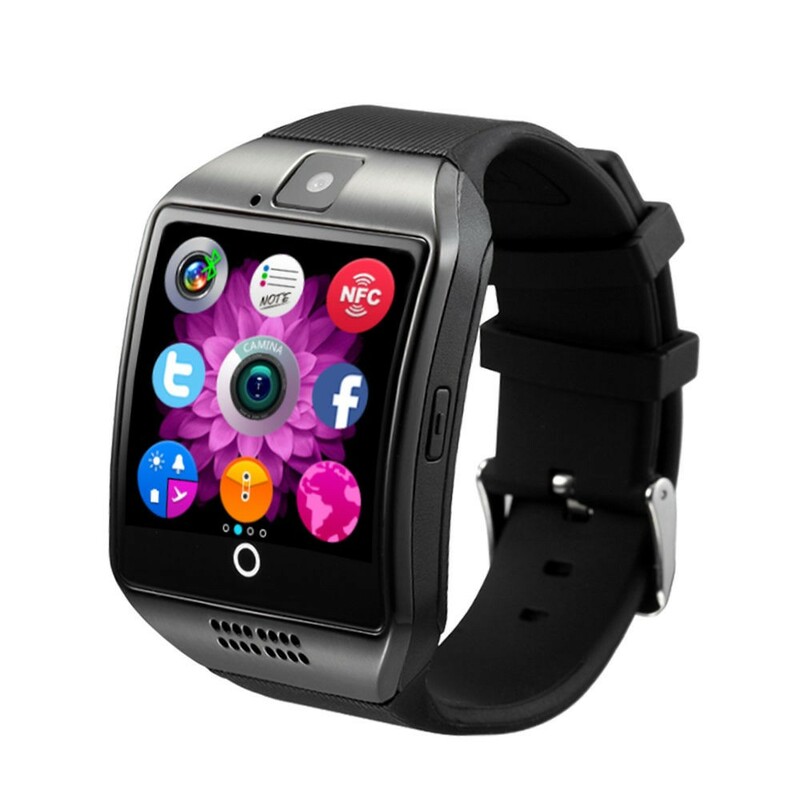 Q18 smart watch supports single micro sim card, it supports 2G network only(850/900/1800/1900MHZ), so only the sim card which supporting 2G network can work on Q18 smart watch. 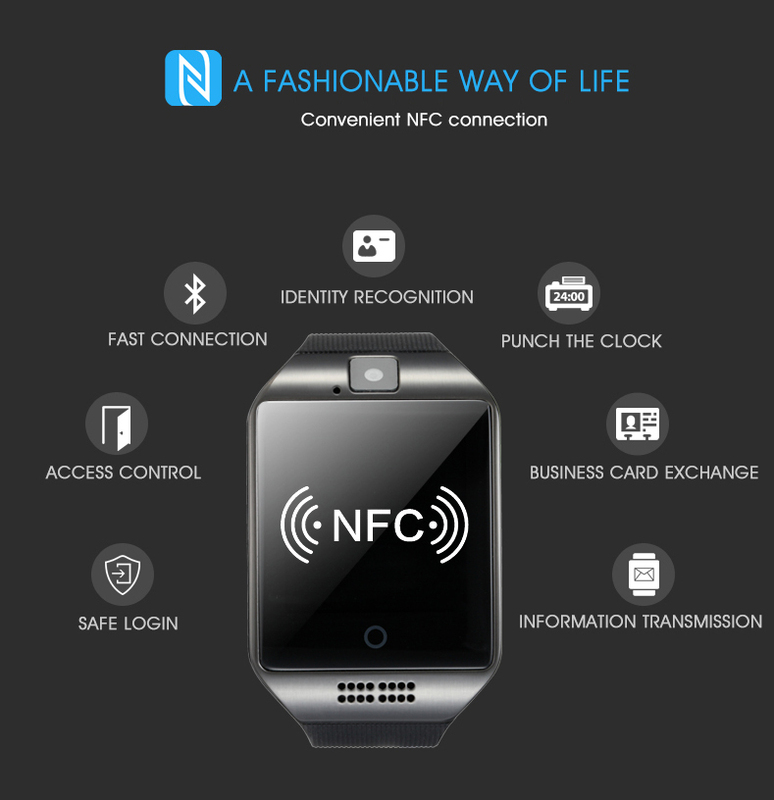 you could make a call or send messages directly through the watch without connecting the watch to your mobile phone as long as a sim card which supporting 2G network was inserted into the watch.The link speed to internet is very slow due to the watch supports 2G network only,you almost can't open any website through the watch, so it is not a good choice if you want to use the watch to surfer internet. 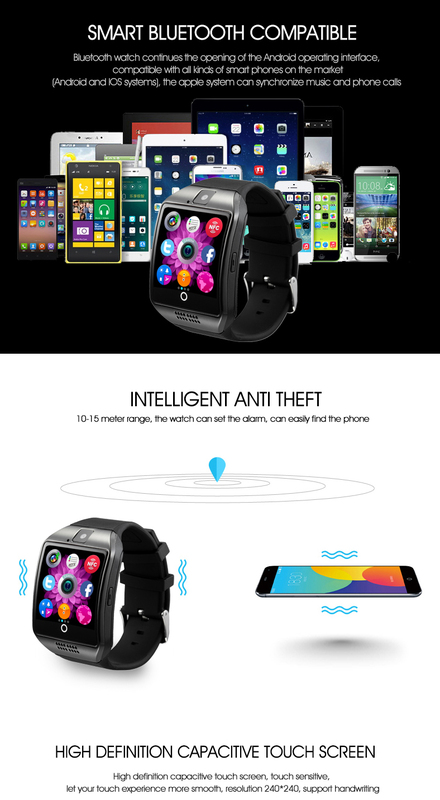 There is no charger for the Q18 smart watch, the watch can be charged by your mobile phone's charger, computer, powerbank, etc. 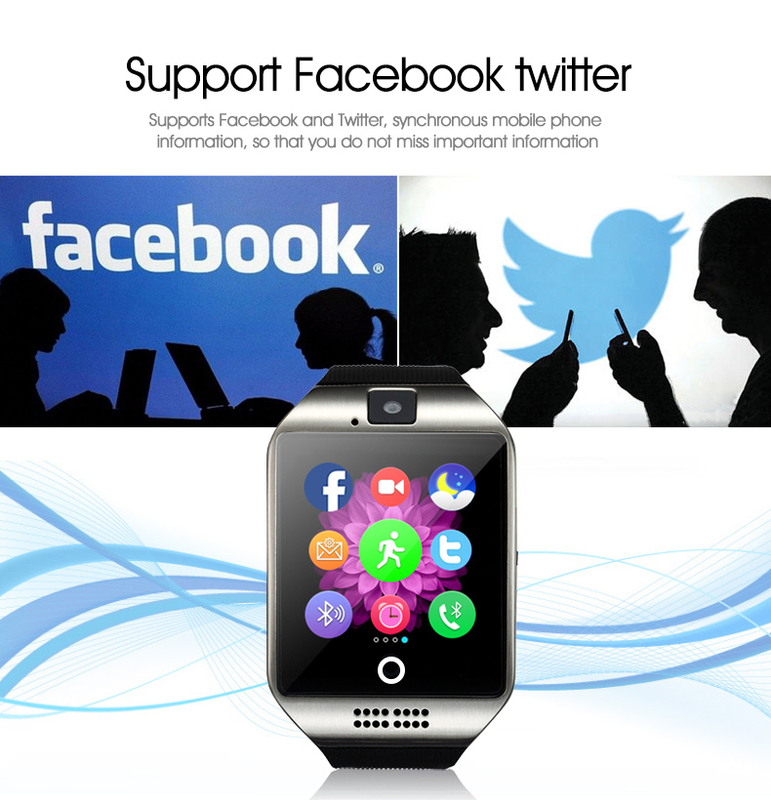 The watch supports following languages: English, French, Spanish, Polish, Portuguese, Italiano, Deutsch, Dutch, Turkish, Russian. Q18 smart watch is completely compatible with android system(Android 4.2.2 and later version), all apps which were installed in Q18 smart watch can work on android system, but some functions need to work with the sim card and some functions need to work with the BT Notification app and some functions need to work with the external memory card. 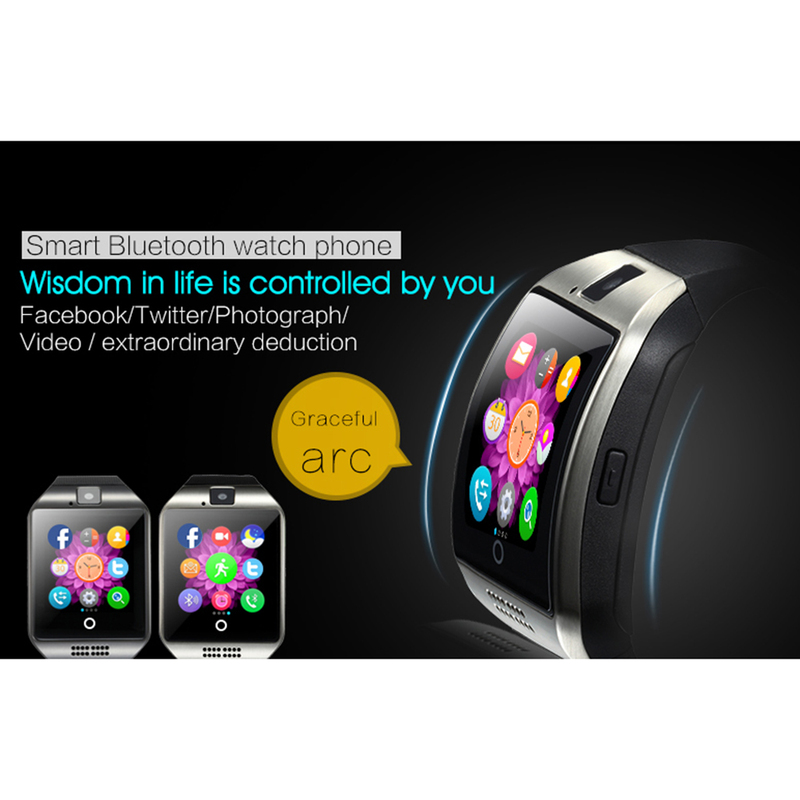 You can scan the QR code to download the BT Notification app to your mobile phone or download other BT Notification apps which are compatible with the watch from Android Market to your mobile phone, BT Notification app is used for syncing messages and notifications from Android devices to Q18 smart watch. 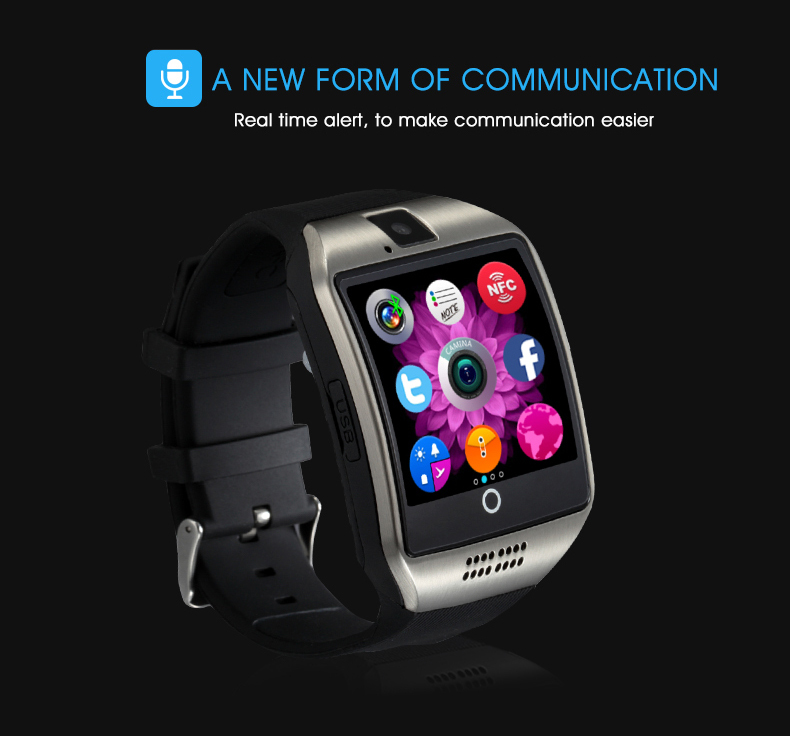 The watch can display the content of short messages only, it can note you Whatsapp, Facebook messages and other notifications but Q18 smart watch can't display the content of them. 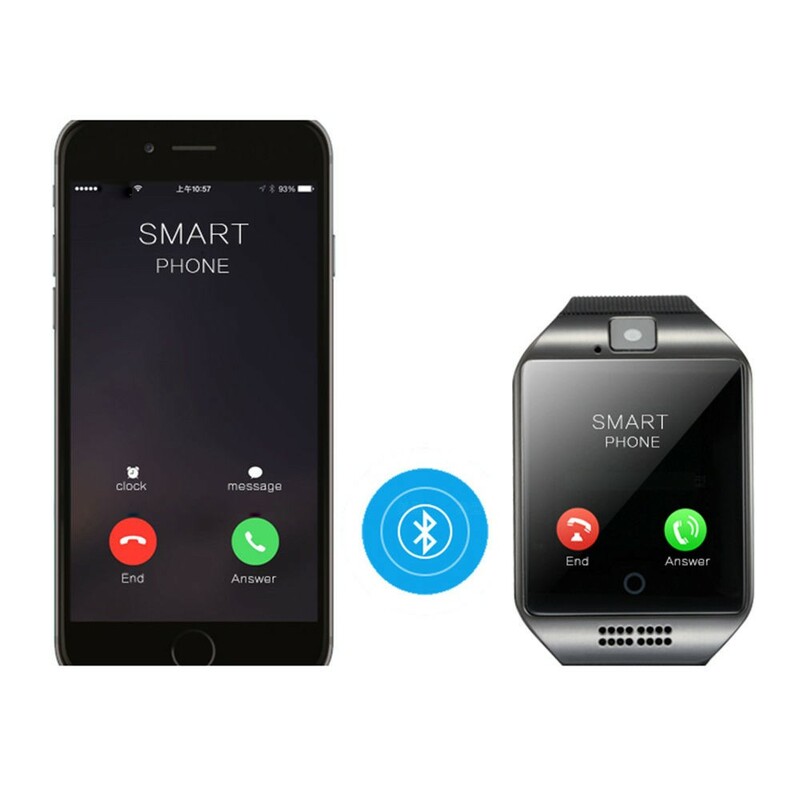 Q18 smart watch can work on IOS devices, but some functions such as remote camera,BT Notifier,etc can't work on IOS devices. 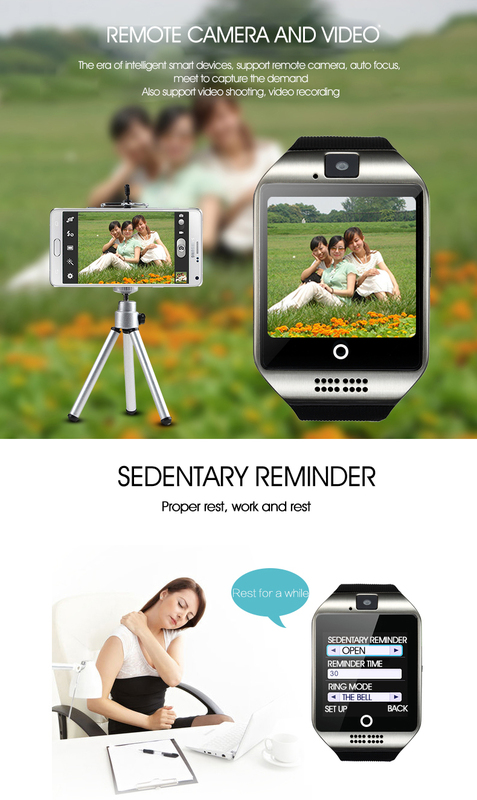 The watch's glossiness may be a little lower or higher than it shows on your computer's or mobile phone's screen. 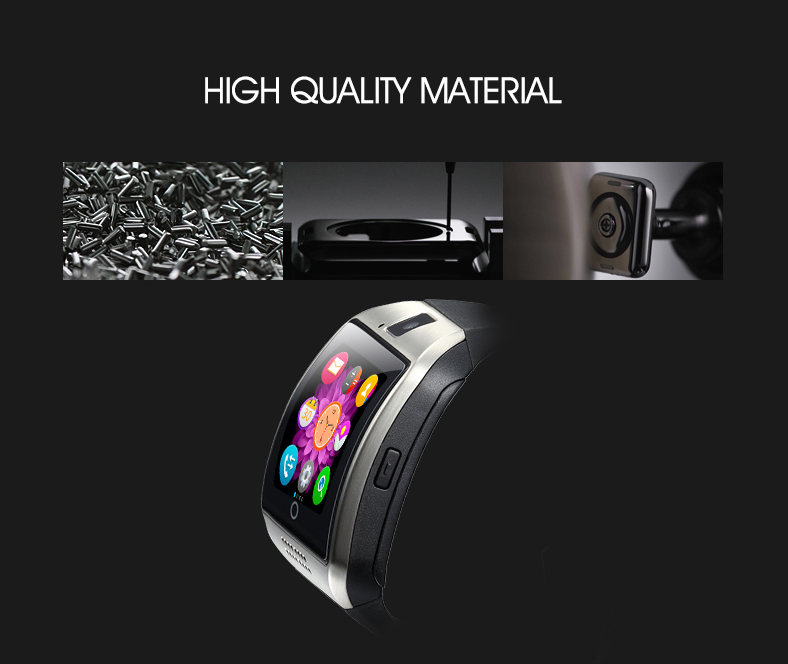 About the "scratches" : It seems like that there are some "scratches" on the watch's dial when you see the watch in a certain angle direction, but they are not actual scratches, it is because the treatment of the watch's dial is Stainless Steel Wire Drawing Process. 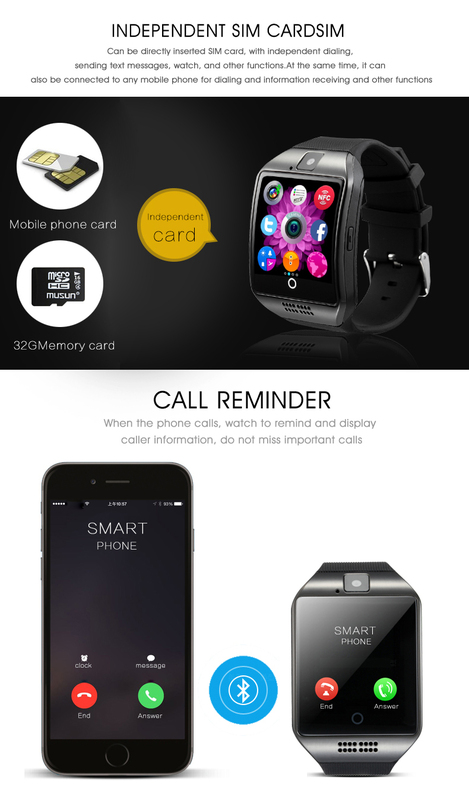 If there is any difference between the description on the user manual and the actual functions or specifications on the watch, the watch's actual functions or specifications should be taken as valid. 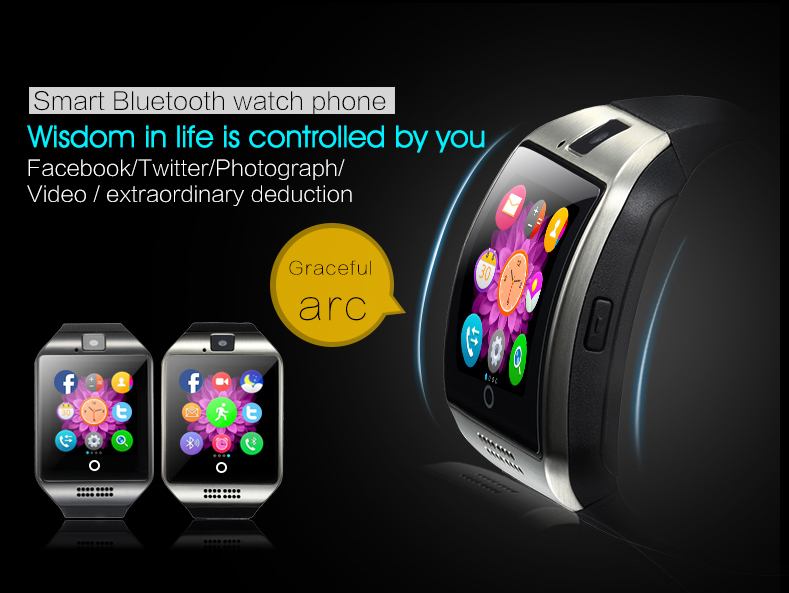 UI design and some other details of the watch may be changed without prior notice. 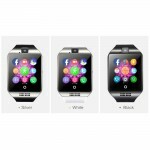 Some apps installed in the watch may be deleted without prior notice.